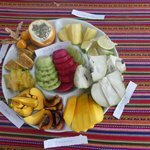 Drawing on a wide range of culinary influences, from indigenous Peruvian to Spanish to Chinese — and sourced from an incredibly varied topography, including the mountains, the jungle, and the coast — Peruvian cuisine has a distinctiveness and variety almost unparalleled in Latin America. Traditional dishes, therefore, vary extremely from one region to the next. A dish that might be readily available in one area will draw blank stares when asked for in another. This article tells you what to look out for at mealtimes in each of Peru's main geographic regions, and where to go within those regions to hunt down the best examples of each dish. Your international flight will likely touch down in Lima, which is a very good thing for your taste buds, as this is also the best place to try Peru's national dish. Ceviche is essentially lime-marinated fish. The citrus "cooks" the fish, so no other cooking process is necessary. Traditionally, it's made from corvina (sea bass), which thrives in the Humboldt current off Peru's Pacific seaboard. Corvina lends the ceviche the hallmark slightly-sweet taste, it easily absorbs the flavors of the other ingredients, and it breaks easily into bite-size clumps. But trout and shark can be a good basis for ceviche, too. Mixed with red onions, cilantro, and ají (chili peppers), and accompanied in Lima by choclo (a white Andean corn) or in the highlands also by sweet potato chunks, ceviche is served up as a cool, zesty antidote to a hot day. 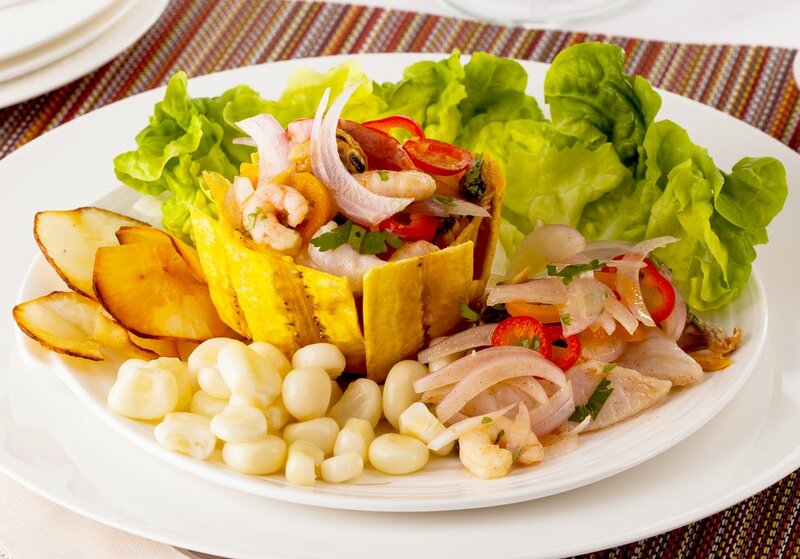 The experience of eating ceviche in Peru, rather than in a Peruvian restaurant in another country, is special because of the cevicherías (dedicated ceviche restaurants) found in most coastal towns and in Lima. It is something of a rite of initiation in Lima to take to the streets of a neighborhood like Miraflores or San Isidro at lunchtime, when ceviche is traditionally eaten, and join the crowds of business people at a neighborhood cevichería to wolf down a bowl of this special dish. Remember to ask for the leche de tigre (tiger's milk) — the fishy, spicy, citrusy juice the ceviche was cooked in, served separately in a glass. Start off with a swanky cevichería like La Mar in Miraflores, Lima. In Trujillo, look out for ceviche prepared with shark. In the Peruvian Amazon, in cities like Iquitos, it's also worthwhile to try ceviche made with river fish such as the dorado. Check out this article to find out more about the Peruvian Amazon. 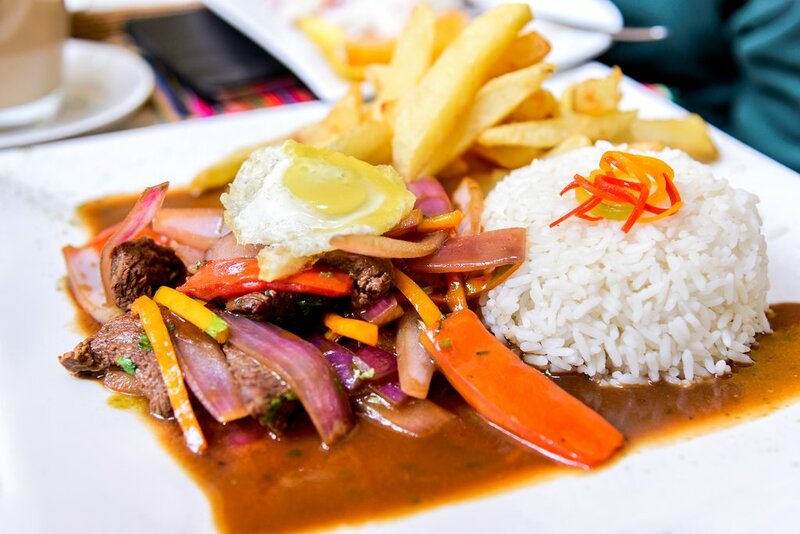 Introduced by Chinese immigrants to Peru after their arrival in the mid-19th century, lomo saltado (stir-fried beef) consists of strips of lomo (beef, typically sirloin steak) marinated in soy sauce and vinegar. This is cobbled into a stir-fry with tomatoes, red onions, ají, cilantro and spices. Served with french fries and rice, it's a carb-rich dish consumed for breakfast, lunch, and dinner. Though available on the coast and in the jungle, lomo saltado is epsecially ideal when you're high up in the chilly Andes. There's s no better introduction to the meal than to try it in Cusco. You won't have to wander far to find it chalked up on a restaurant billboard). 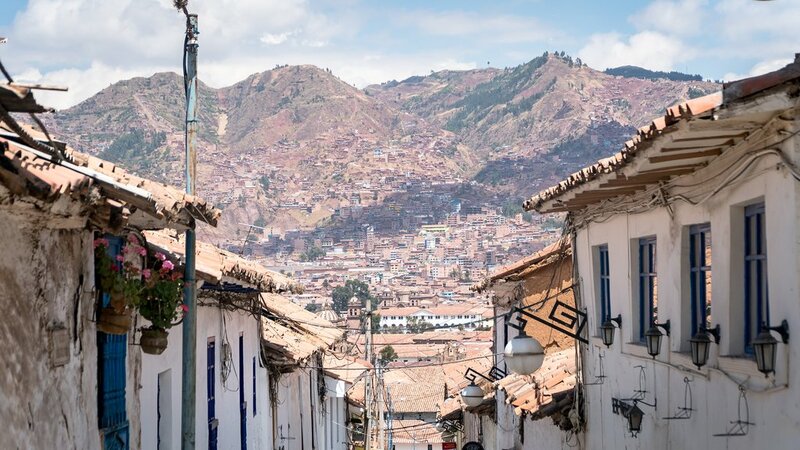 Check out this article to find out more about the city of Cusco. This potato-based dish comes from the Andean city of Huancayo (the name means "Huancayo-style potatoes.") Even as a first-time visitor, Peru's obsession with the potato does not take long to register. There are around 4,000 varietals grown in the country; in this dish, papas amarillas (Peruvian yellow potatoes) are used. They're boiled, then immersed in a cheesy, creamy sauce along with olives and boiled egg, and served over lettuce leaves. Choclo is often added at the end. Whilst the popularity of Papa a la Huancaína has extended country-wide, the best place to try it is in Huancayo. Most locals recommend one restaurant in town as serving the most outstanding Papa a la Huancaína: the atmospheric Huancahuasi. Invented by indigenous tribespeople for long river voyages, the juane (a tamal-like dish made with rice, chicken, and spices) is a portable snack that's ideal for travel on the Amazon. 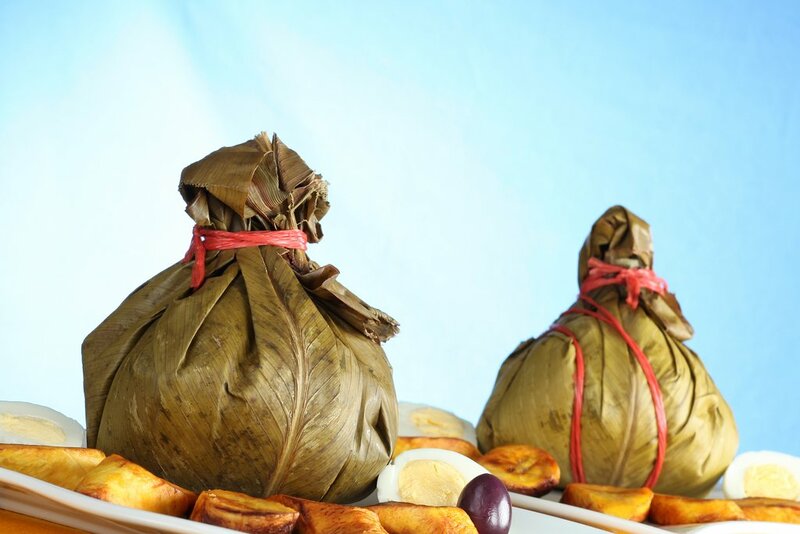 A jungle leaf, the bijao, is wrapped and tied around a delicious mixture of rice with meat or fish, hard-boiled egg, black olives, and spices, and steamed so that the mixture inside melds together in sticky, mouthwatering clumps. The name refers to the Spanish version of John, after John the Baptist, and is most commonly consumed on his feast day, June 24th. In addition to chicken, pork and freshwater shrimp are common fillings. The colorful Mercado de Belén (Belén market) in Iquitos serves great juanes. 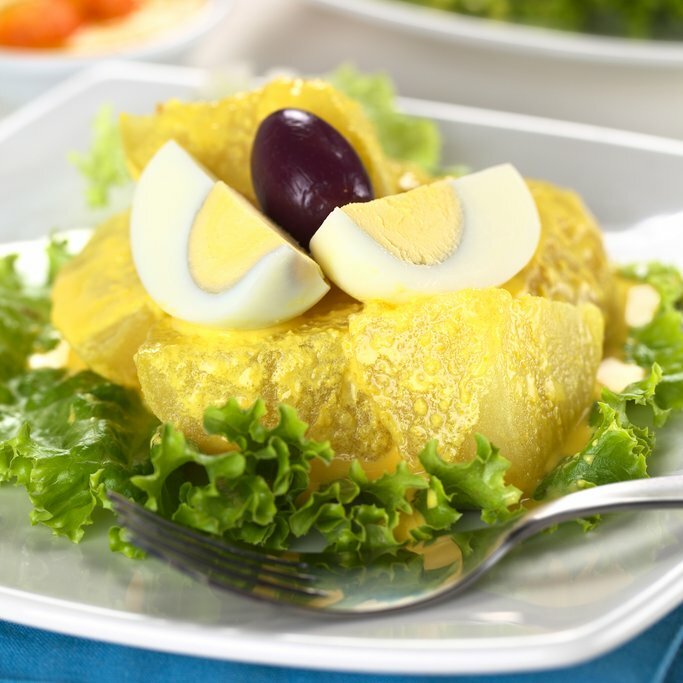 Another specialty of the Peruvian Amazon is tacacho, typically made by compressing smashed green or yellow plantains together with cecina (pork), pork fat, and spices into a mound. The mixture often includes rice and pieces of blood sausage, too. From outside, the ocher-colored dish appears to be on the dry side, but inside, it's actually quite moist. The name is thought to derive from the quechua phrase taka-chu which relates to the action of smashing up the plantains in the preparation. Puerto Maldonado, the gateway to Peru's southern jungle, has some fantastic versions of tacacho in the spate of new restaurants that have opened up here recently. Try Burgos's Restaurant. This roast chicken, bathed in a marinade of soy sauce, cumin, and red peppers, is such a Peruvian staple that it's now known in restaurants around the world. It is also one of the Peruvian dishes that's replicated internationally with the most success. 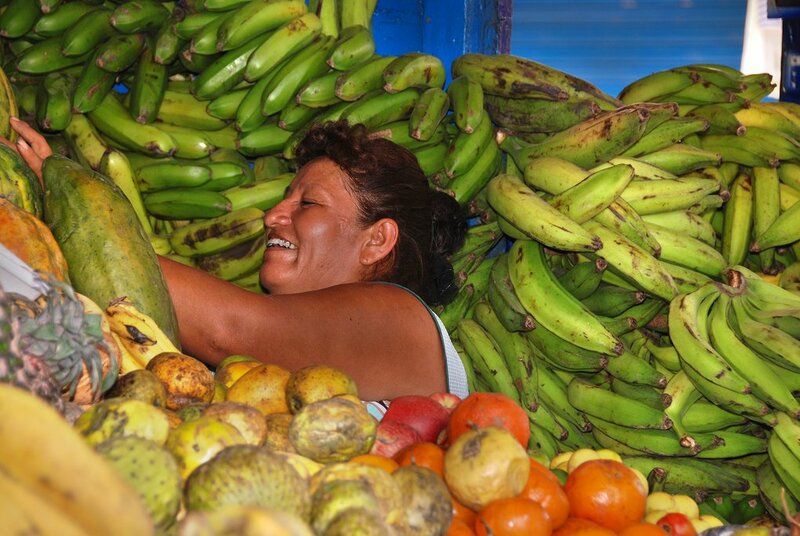 But there is still no substitute for feasting on this in Peru — and sometimes no choice in the matter. Pollo a la brasa (which translates literally to "chicken on the embers") is one of the most ubiquitous foods in Peru. 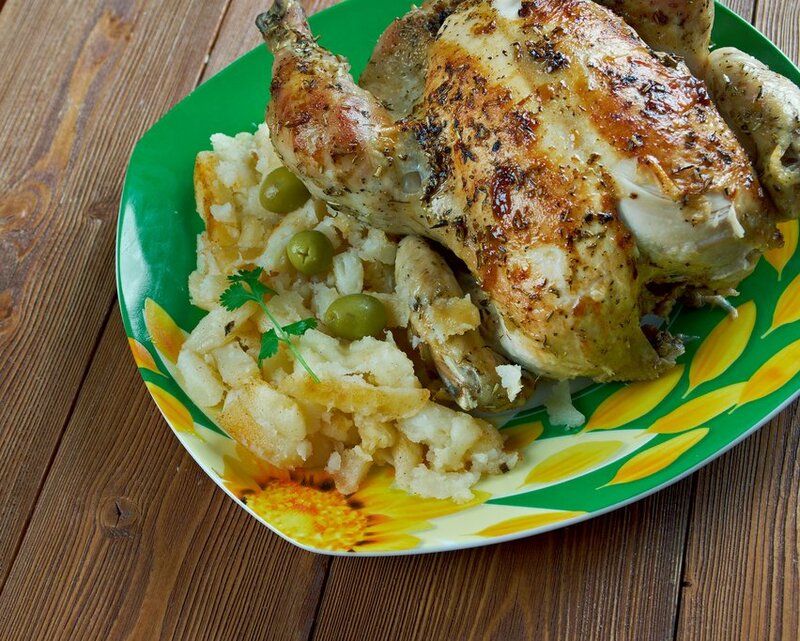 Even the smallest village usually has a pollería (chicken restaurant) where the smoky pollo a la brasa can be sampled. In Peru, it invariably comes with fried yucca, a delicious, waxy-textured Andean root vegetable. In other places, you'll see it served with fries. Almost anywhere in Peru. Whether you're on the coast, in the mountains, in the jungle, in a small village or a large city, you'll find the dish available in restaurants — it's best in small, informal, hole-in-the-wall establishments.